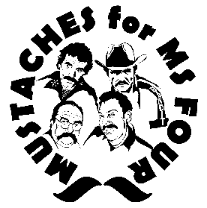 Whitlow's On Wilson is encouraging everyone to sport a fuzzy upper lip in honor of its annual Mustaches4MS charity event. On Tuesday, March 1 from 6 to 10 p.m., everyone is invited for an exciting evening of mustache contests, raffles and more. Women and 'stache-less men can also join the fun and draw or paste on mustaches at the Mustache Booth. Jason Letscher, longtime Whitlow's employee, founded Mustaches4MS in February 2008 after losing his mother to complications from the disease in October 2007, and turned it into a fundraiser to raise awareness for multiple sclerosis and money for research for the disease. Whitlow's on Wilson will donate 15% of house proceeds to Mustaches4MS. The 1K Wine Walk this weekend is a tasting tour through the interior walkways of Crystal City featuring 30-40 wines at different ‘hydration stations’ along the course. This quirky event will be perfect for a cool February weekend, and offers a great chance for participants to take in the Foto Week finalists as they cruise through the course. Thanks to Abbey and Laura for the tips and image! The unseasonably warm weather Friday night brought out many people to Clarendon's night life scene, and probably helped boost the crowd for opening weekend at Mad Rose Tavern. Although the day started out in the mid 70s, later that night the fierce winds started thrashing around the more scantly clad party goers. Mad Rose Tavern's front bar was packed beyond capacity, but we still managed to get a seat at their rear bar near the dining tables. If you were making a list of everything you would expect from a nice or "upscale" bar in Clarendon, this place has all the items checked off. Similar to Arlington Rooftop Bar & Grill, except with less flat screen TV's. Except it seemed to lack one critical factor: personality. On the opposite end of the night life spectrum, Hunan Number One has plenty of personality. Located slightly off the beaten path on Garfield street, the Chinese restaurant and bar was very popular Friday night. We also ended up at the rear bar at Hunan Number One, which was slightly less packed than their front spaces. 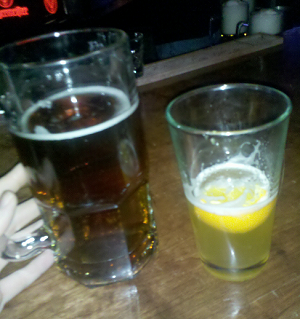 Another reason for their popularity: they offer huge 32oz beers like the pictured Yuengling next to a normal sized Blue Moon. "Don't believe all that is twitted. We are actually open tomorrow, Thursday 17th." Appears to be a little miss-communication or change of plans here. Either way, Clarendon's newest bar will probably only be open to private parties until this weekend. If you stop by this weekend, you will be greated by modern decor wrapped in black leather and plenty of dark wood. 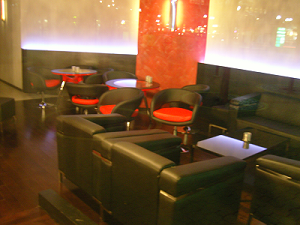 The space looks smooth and inviting, and should bring a well dressed crowd to the relatively empty corner of Clarendon. That side of 3100 block is currently also occupied by SoBe, which should also benefit by the increased foot traffic Mad Rose will bring. 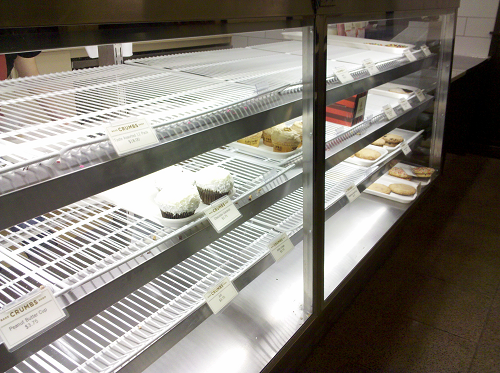 Hope everyone in Clarendon had as a nice Valentine's Day as owners of Crumbs Bake Shop must have had. The bakery that just recently opened was packed all day with people bringing their dates there for a V-Day treat or after dinner desert. When I dropped by around 8pm-ish the shelves were shockingly bare with only a few cupcakes and cookies left. Another venue that looked popular tonight was the Clarendon Grill's salsa dancing night. Occurring every Monday evening, this one just happened to fall on V-Day and seemed like a great place to bring a date for fast paced dancing. The battle for cupcake supremacy was heating up this past weekend, as competition between Clarendon's bakeshops was increased during the pre-Valentine's Day weekend. First the newcomer Crumbs makes a delicious alliance with neighbor Best Cellars and features their mini cupcakes along side local chocolates in the free wine and chocolate tasting last Tuesday. This was just a prelude to a popular joint venture cupcake and wine tasting on Saturday, which paired about five wines from Best Cellars' collection with five Crumbs' mini cupcakes. Not to be outdone, Bakeshop on Fillmore Street fired back with its own champagne and wine tasting. Our local Bakeshop fought back against the Crumbs Empire by allying with neighbor Screwtop Wine Bar for a free one hour tasting on Sunday. According to their Twitter feed, there were no cupcake survivors by 2:14 pm. The most important question still remains: for the future battles, which wine shop will ally with Red Velvet when they come to Clarendon? Apologies to The Cupcake Blog for leaching the image, but that little tank themed cupcake was too cool not to post. 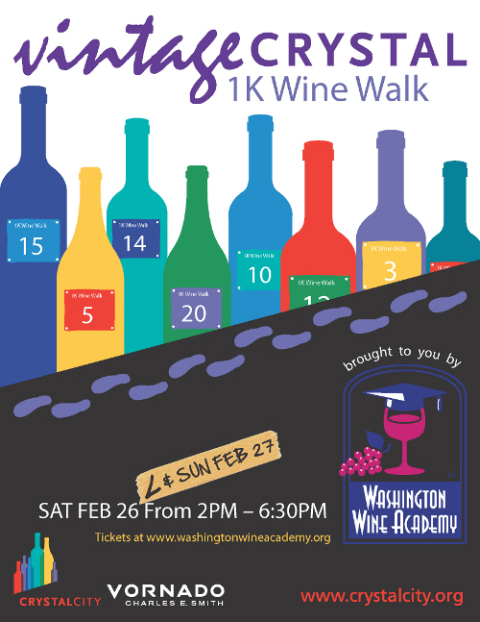 Even more wine and chocolate tastings this weekend! The grand opening of One More Page Books in Arlington (an independent bookstore located at 2200 N. Westmoreland St.near Falls Church.) is on Saturday between 4-6pm. They'll be doing a wine, champagne & chocolate tasting during those hours, and of course there are always books to look at! Clarendon residents can't complain about lack of free wine tastings this weekend! One of these is a joint event by Best Cellars and Crumbs Bake Shop. This Saturday Feb 12th from 1 to 4pm they are hosting a free wine and cupcake tasting. This could be an excellent pre-Valentine's day date, as Best Cellars offers a delicious variety of affordable wines and Crumbs offers great conversation starting cupcakes. 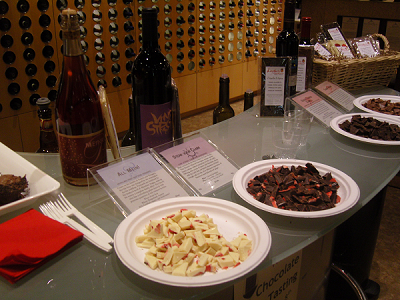 There is only one thing better than a free wine tasting: a free wine and chocolate tasting! Best Cellars on Clarendon Blvd held this delicious and educational event on Tuesday Feb 8. Five wines of various flavors were paired with exotic locally made chocolates. 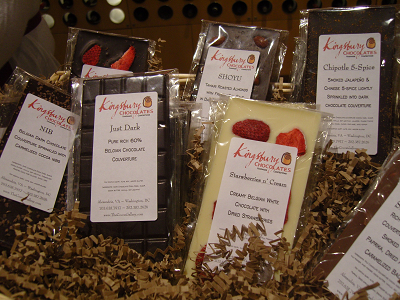 Kingsbury chocolates in Alexandria provided a satisfying array of sweets from bacon infused dark bars to Belgian white chocolate with strawberries. Best Cellars was also generous enough to give out free mini chocolate cupcakes from neighbor Crumbs, as a prelude to their joint cupcake and wine tasting this Saturday from 1 to 4pm. State Theatre in Falls Church hosts the The Legwarmers for "DC's Biggest 80's Retro Dance Party". Showtime starts at 9pm, cover is $18. Thanks to Ashley H. for the tip. Frontpage announced they are having a "80s party this saturday night and steak night monday night" via Twitter. The Legwarmers return to State Theatre for another night of 80s retro beats, again starting at 9pm with $18 tickets. If you are in the mood for skiing or snowboarding, take advantage of Ski Liberty's 80s themed weekend. Events include the 80's DJ at Boulder Ridge Snow Tubing on Friday, the 80's Fashion Show, the DJ on the Alpine Patio, the gnarly 80's Prom Saturday night with music by The Reagan Years.